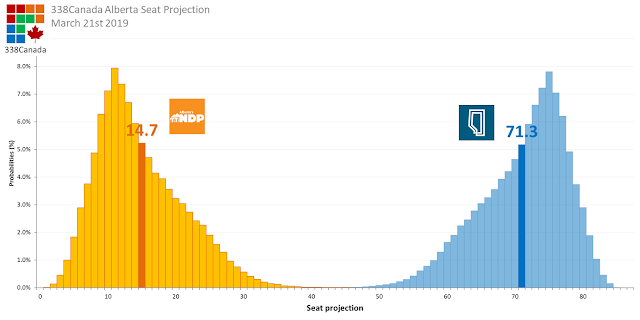 This is a preliminary projection for the 30th Alberta General Election. There will be significant adjustments in the following days as new polls will be published. Also, the list of candidates running in the 87 electoral districts of Alberta is not yet complete. When it is, the 338 model will take it into account. Data has been scarce in the past month on the voting intentions of Albertan voters. 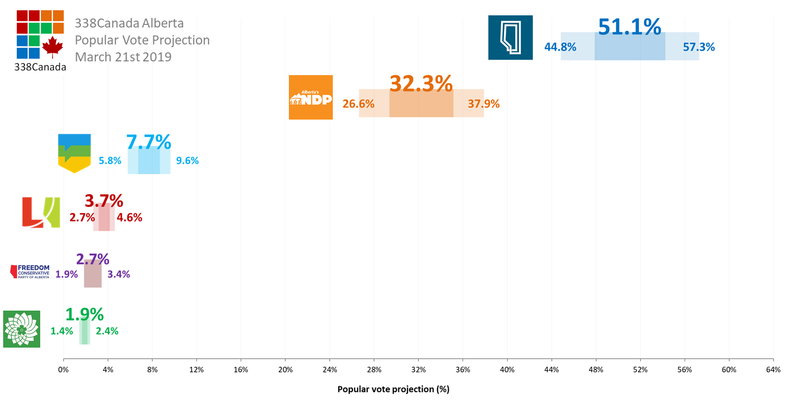 News polls from Lethbridge College and Ipsos have been published in the last month. Fresh new numbers will come out very soon. 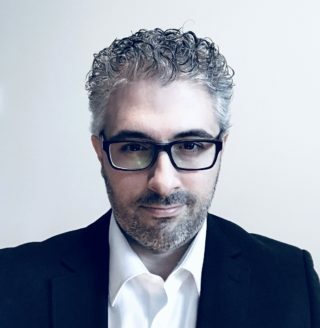 Mainstreet Research will conduct a daily poll tracker behind a paywall. To register, follow this link. The complete list of polls will be updated regularly on this page. 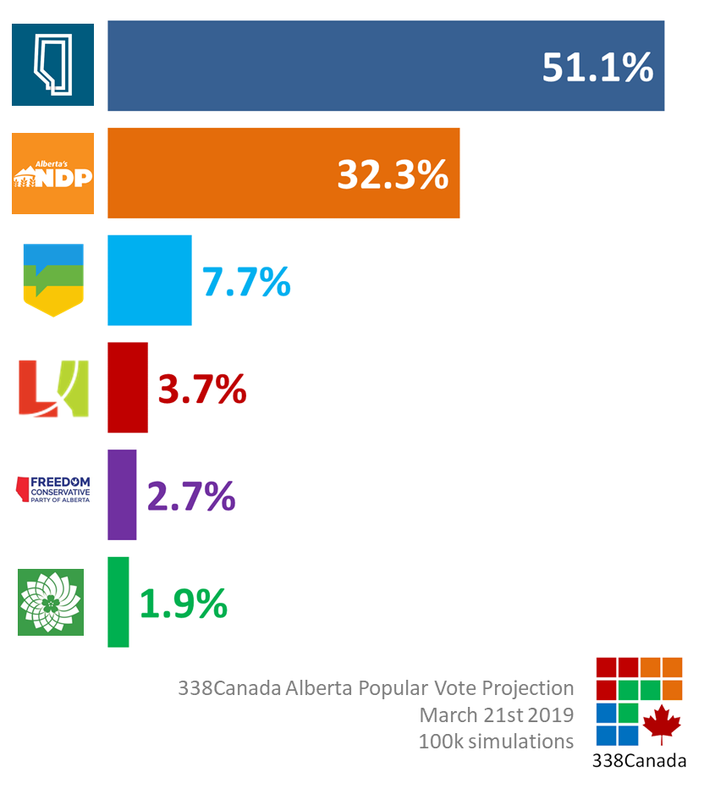 The United Conservative Party of Alberta begins this election campaign with a massive lead over the governing NDP, with the support of a little more than half Albertan voters, 51.1%. Rachel Notley's NDP stands at 32.3%, about nine points lower than the result of the 2015 Alberta election. 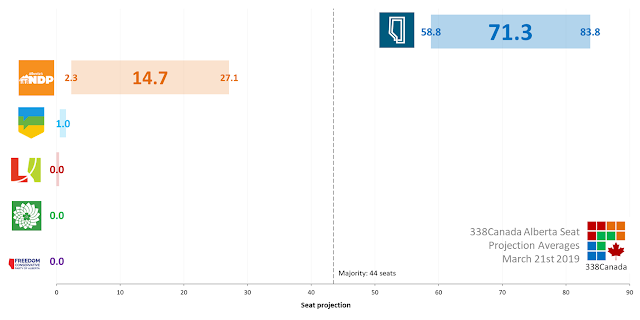 According to the current projection, the NDP is trailing in every region of Alberta, except Edmonton, where the NDP and UCP are in a statistical tie. 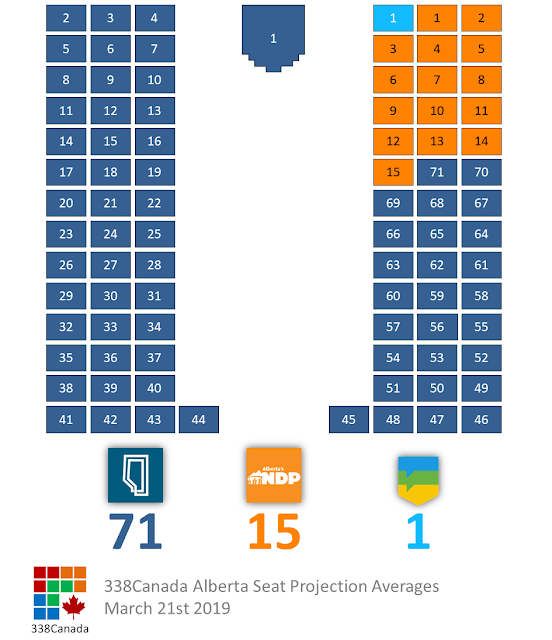 The Alberta Party get 7.7%. The AP projection will undergo important adjustments in the coming days, since it slate of candidate is rather different than the one from 2015. With such levels of support, the UCP wins, on average, a staggering 71 seats (out of 87). The threshold for a majority is at 44 seats, so it is quite an understatement to say that the UCP enjoys a massive advantage at the starting line of this campaign. New update coming soon. Stay tuned.